By C. Raja Mohan (26 April 2018) – If war has become too important to be left to the generals in the modern era, high-stakes diplomacy is too important to be left to the diplomats. In agreeing to an “informal summit” between themselves later this week in the city of Wuhan on the banks of the Yangtze, Prime Minister Narendra Modi and the Chinese President Xi Jinping have chosen to take charge of the relationship. Leader-led engagement may not have come a day too soon for India and China. Few major bilateral relations in the world have been as bureaucratised as the one between Delhi and Beijing. A handful of professionals on both sides now speak in a code that few of their own foreign office colleagues can understand. Such a terribly narrow interface between the two large nations might have been alright if it had helped address long-standing bilateral problems, small and big. The sad fact is it has not. To make matters worse, diplomats wrap the public articulation of the relationship in such high-minded goals as heralding an “Asian century” or constructing a “multipolar world”. Such soaring rhetoric has become vacuous given the scale of differences. Consider the simple fact that the two establishments don’t even agree on the length of their disputed border. Delhi puts it at 4,000 km. Beijing says it may be about 2,000 km. A prolonged failure to address differences on such essential issues has long given a surreal character to the India-China relationship. While the format of an informal summit meeting might be new between India and China, both of them have experimented it with other nations. Xi has held such meetings with Obama (at Sunnylands in California) and Donald Trump (at the Mar-a-Lago in Florida). Modi too has sought to inject an informal dimension to his engagement with key international interlocutors. But the two-day encounter with Xi in Wuhan is probably Modi’s first full blown informal summit. It is also no surprise that the decision to have such a summit comes after one of the worst years in bilateral relations. The 72-day standoff in the summer of 2017 between the two countries in Doklam could have easily escalated into a full blown war between the nuclear-armed Asian giants. Last year also saw the sharpening of differences on the question of Pakistan’s support for cross-border terrorism and on India’s membership of the Nuclear Suppliers Group. A new explicit area of divergence has also emerged on the question of connectivity in Asia. India became the strongest critic of Xi’s signature Belt and Road Initiative. Even before the summit has taken place, we have the familiar surge of hyperbole. The adjective, “historic” is already being appended to the Wuhan summit. High-level engagement is often useful to fix specific problems. Recall that informal talks on the margins of a multilateral conference last year helped the two leaders to push their bureaucracies to defuse the Doklam confrontation. But in 2016, the direct conversation between the two leaders could do nothing to resolve the differences on India’s membership of the NSG. Given the depth and breadth of the problems between India and China, it will be unwise to expect dramatic breakthroughs at the Wuhan summit. Consider, for example, the current state of the relationship. Talks have long stalled on resolving the boundary dispute even as the structure of the frontier has become more prone to standoffs between the two armed forces. Tibet and Kashmir continue to complicate the resolution of territorial dispute between the two countries. The difficulties on the frontier are not just bilateral; they involve third countries — Pakistan, Nepal and Bhutan — on the northern frontier. The friction has confined to the great Himalayas — it is mounting by the day across the Indo-Pacific. On the economic front, trade deficit with China is continuing to balloon and forms more than a third of India’s total deficit with the world. These issues are not amenable to resolution in a single meeting between the two leaders. Nor can Modi and Xi alter the nature of their relationship with third parties to please each other. Delhi should have little reason to bet that Wuhan will lead to chinks in China’s all-weather partnership with Pakistan. Nor can Beijing expect that India will hold back from strengthening its ties with the United States and the West. That, in turn, has opened up some room for Delhi. Informal summits are not about negotiations between leaders. At Wuhan, Modi and Xi have an opportunity to better appreciate each other’s concerns and interests, reflect on the multiple problems between the two nations, imagine a redirection of the relationship, set practical goals and mandate the bureaucracies to produce those outcomes. 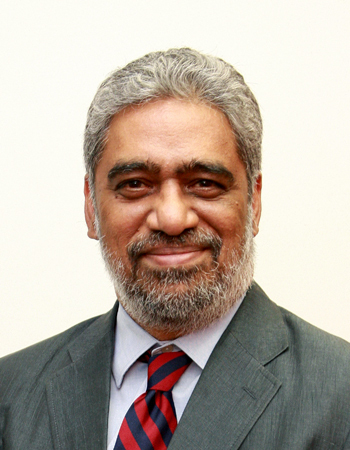 The writer is director, Carnegie India, Delhi and contributing editor on foreign affairs for The Indian Express. This article first appeared in The Indian Express.